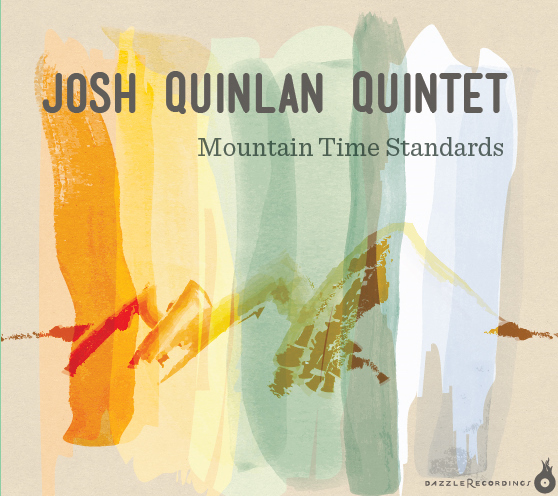 Josh Quinlan is a Colorado based saxophonist, composer and educator. His ten original compositions that make up Mountain Time Standards reflect on the beauty of living in the Rocky Mountain region of the United States. This album features award-winning musicians and longtime musical partners of Quinlan’s including Ben Markley, John Lake, Ed Breazeale and Kells Nollenberger. Quinlan is on demand both as a performer and educator with recent tours through the U.S., Peru and Costa Rica. As well, Quinlan holds a doctoral degree in Jazz Studies, is the Director of Dazzle Recordings and works with the the Colorado non-profits the Giftof Jazz and the Telluride Jazz Celebration. You can grab a copy of this album through Dazzle recordings or on ITunes. I was searching for some “Jazz in unfamiliar places” the other day and I came across this lovely little LP. Colorado isn’t famous for its jazz – at least not around these here parts. 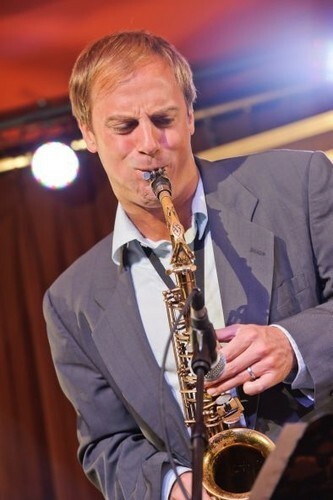 However for saxophonist Josh Quinlan, who came of musical age in Chicago and moved to Colorado in 2006, the Front Range jazz scene has been chock-full of opportunity: he is co-director of the Telluride All-Star Program, director of education for the Colorado nonprofit Gift of Jazz, executive director of the jazz label Dazzle Recordings, and creator of the education series Jazz for the Schools, which provides monthly performances for Denver public schools. Along side all of this Quinlan keeps the playin’ up establishing himself as one of the scenes most outstanding musicians. This little disc is his debut. Mountain Time Standards is an absolute pleasure of a listen. It is ten original tunes apparently all inspired by life in Colorado and the amazing mountain landscape there. I dont think I could come up with two more distant aesthetic images inside of me than that of free wheelin’ trad jazz and the Colorado Mountain scape so I decided I had to have the album. This is an album largely of traditional jazz sounds, with alive and tapping swing blessed tracks like ‘Sus it out’ and ‘Left then right’ which are filled with fun and a lightness in which one can sense the region. ‘Sus it out’ is a powerful song with beautiful harmonics and a crisp arrangement. There’s great front line work with Quinlan and trumpeter John Lake, and rock-solid support by Ben Markley on piano, Kells Nollenberger on bass, and Ed Breazeale on drums. Quinlan’s solo reveals his strong, supple tone, as well as his ability to improvise scorching lines. The excellent ‘Left Then Right’ is equally hard bopping, containing a whiff of saxophonist John Coltrane‘s “Giant Steps” and a sparkling piano solo by Markley. Along side many of these jaunty tracks are the mellow meanderings one might imagine late night in a sophisticated Colorado, in tune with the world around it. Tracks like ‘Night Walk’ and ‘Storm Pass’ lull us into the beauty of the region and the talented artists there that make that place their home. Thanks for sharing. Loved the soundcloud preview too! Its a great album – I’m glad you enjoyed.